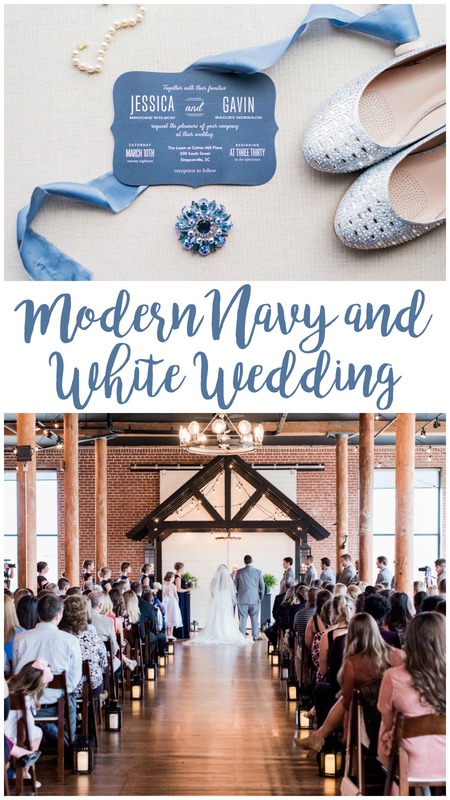 Crisp navy and white, exposed brick, and hardwood floors: Jessica and Gavin's wedding had a clean, polished aesthetic for their modern urban wedding in Greenville. 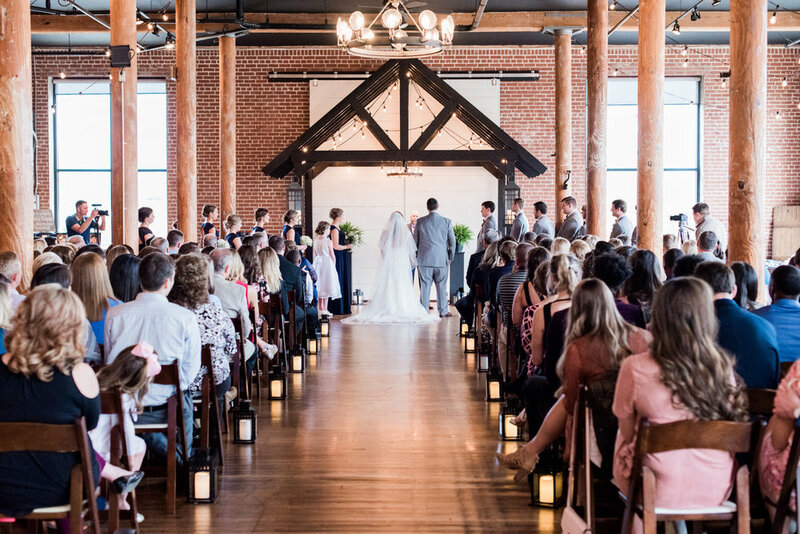 These high school sweethearts chose a location for their ceremony and reception that captures a piece of Upstate history: the Loom at Cotton Mill Place was once the Woodside Cotton Mill and produced textiles alongside hundreds of other mills during the 20th century. Although this area has deep roots in South Carolina's past, the mill has been refurbished in a way that combines the best of the historic elements and modern needs. The result is a popular event space that reminds visitors of downtown lofts and chic urban spaces. 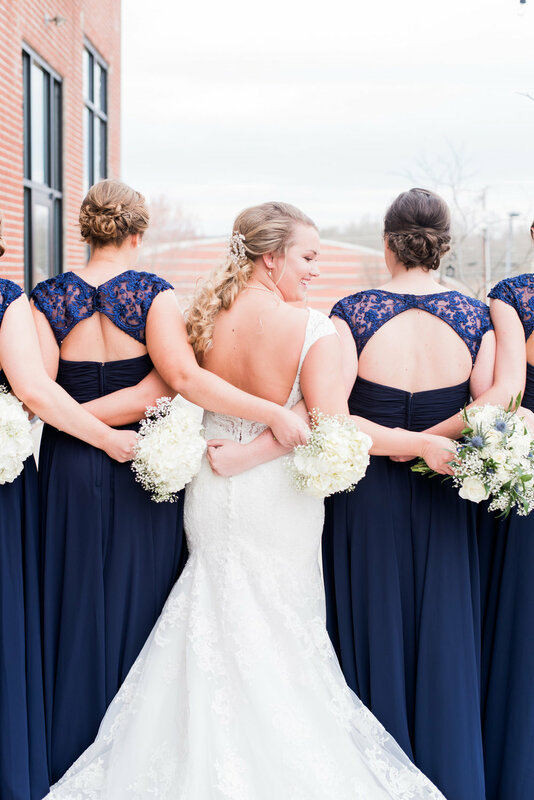 For Jessica and Gavin, their freshman year of high school was filled with more than just textbooks and new friends: it was the beginning of a beautiful life together! 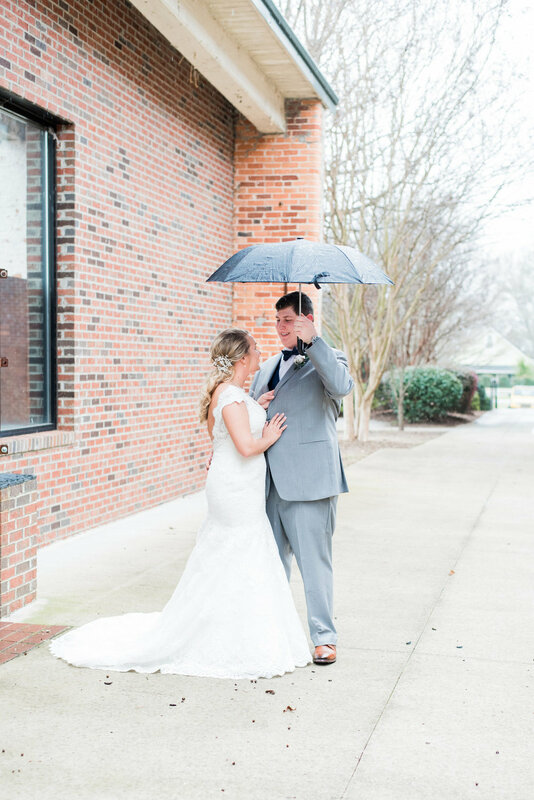 Remembers bride Jessica, "Gavin and I stumbled upon one another through mutual friends that we had when we were both only freshman at Mauldin High School." The two didn't start dating until a year later, but that first meeting set their lives on a shared course. As their first year of high school drew to a close, the two became even closer and decided to make things official in August of their sophomore year. Says Jessica, "It was such a fun time being able to go to football games together, pep rallies, prom, and all of the other festivities that came along with being free spirited high school kids." Graduation day came, and the two made the difficult decision to go to separate collages. Their relationship survived and grew even stronger despite the distance. 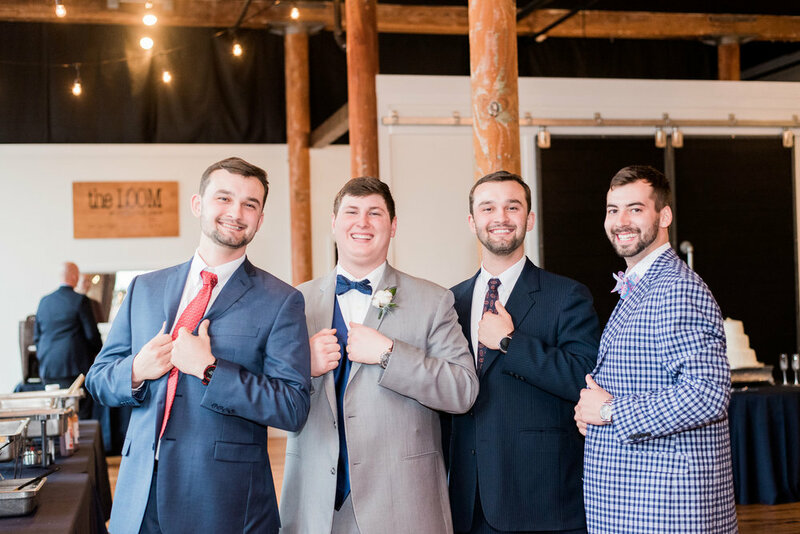 "We survived the craziness of adjusting to college life in general, being an hour and a half away, and made plenty of memories that we will be able to cherish forever," states Jessica. After two years of dating long distance, Jessica and Gavin decided to have an incredible summer together between their sophomore and junior years. On a beach trip with Gavin's family that summer, Gavin and Jessica decided to take a ride on the Myrtle Beach SkyWheel. While they were at the top, Gavin asked Jessica, "Hey, do you see that sign down there?" To her surprise, she saw a big sign that read "Will you marry me, Jessica?" which was flanked by Gavin's parents on one side and Jessica's parents on the other. "Let's just say we both needed tissues!" remembers Jessica of the touching moment when she realized exactly what was going on. "I can't imagine a better proposal and still wonder how I got so lucky to have someone like him in my life. It was hands down the best day of my life, and the best feeling I'd ever felt knowing that I'd get to spend the rest of my days with the best part of my life."